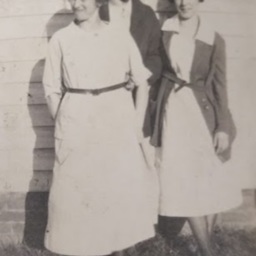 Photograph labeled "3 Old Maids." It shows three women, Pauline Lichliter is on the right. It is part of a scrapbook showing images from Dunsmore Business College in Staunton Virginia. Pauline attended the college in the 1920s.